“So often I hear people say they have a love-hate relationship with cauliflower, and maybe we should blame schools for this. Oh my god – how often did they kill it completely? Totally over boiling it so the end result was a mushy white mass slopped on the plate. Sometimes adding watery cheese sauce which you’d hesitate to call ‘Bechamel’. No wonder it is not on everyone’s list of favourite vegetables! I am pleased to say I think school dinners have moved on, and so should we. When cooked properly, cauliflower is noble and delicate. So… do not overcook it. A tip here is that steaming is much better than boiling. The vitamins are soluble so boiling can remove a lot of the goodness. Secondly, the steam helps to retain the delicate flavour, I’d say about four minutes steaming for a large floret. 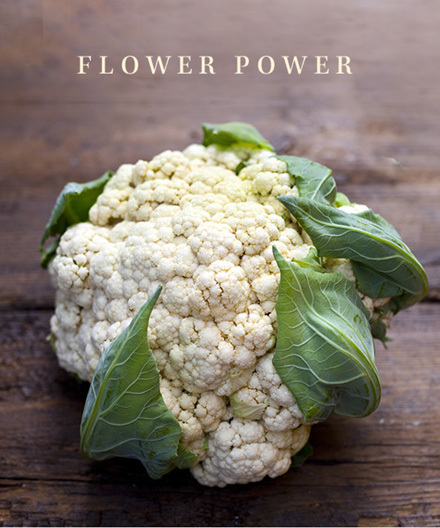 If you feel it needs more flavour then feel free – cauliflower loves any spice, in fact you often see it in Indian cuisine. If you feel in an adventurous mood then take the thicker part of the flower and slice it so you create a tree, marinate in oil with curry spices or saffron and simply pan fry so it is just cooked and serve – it is delicious I promise you. Have a look at the recipe here, or enjoy it as part of our October set menu in our brasseries.